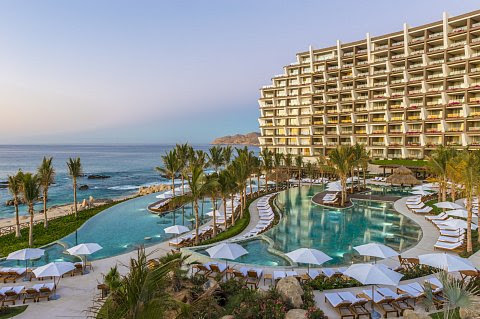 Los Cabos, Mexico (April 1, 2019) -Grand Velas Los Cabos' new Tequila Sunrise Amenity makes sure guests start their day enjoying one of Cabo's most brilliant natural wonders. As the sun breaks the horizon in a tight ball before spreading a myriad of reds, yellows and oranges across the sky above the Sea of Cortez, guests can wake up to a pot of coffee with a Mexican twist. Upon request, five minutes before the sunrise, suite service will deliver a fresh pot of coffee accompanied by 1921 Tequila Cream liquor and fresh whipped cream for an early morning cocktail sure to start the day right. Native to Guanajuato, Mexico, the tequila cream is made with Blanco Tequila, coffee, milk, cinnamon and anise providing for a uniquely Mexican flavor. All 307 suites at Grand Velas are oceanview with over 1,180 sq. 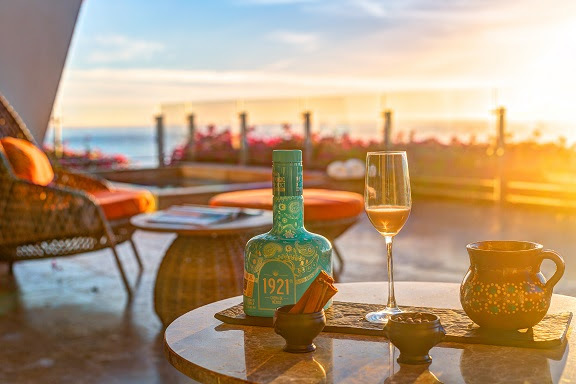 ft. of space, inclusive of a private terrace perfect for enjoying the Tequila Sunrise Amenity and spotting marine wildlife such as the whale migration, from November through April.